courtroom and has recovered Millions of dollars for our clients. The stress, exhaustion, and trauma of sustaining an injury of any kind are challenging enough, but when you find yourself injured due to someone else’s recklessness or negligence, it can take on a new level of frustration. At Ginsburg & Associates Trial Lawyers, our team of Philadelphia personal injury attorneys has decades of experience working with clients just like you and helping to fight for fair compensation. We take pride in being determined and relentless in court, which has resulted in millions of dollars in settlements and verdicts. As time passes since the incident or accident, cases tend to become more challenging. Witnesses can forget small details, victims may not get the correct paperwork signed by their physicians, and statutes of limitations can begin to come into effect. Acting as quickly as possible to bring in a skilled legal team helps to set clients up for success from the beginning so that they can focus on recovering. We go to great lengths to provide each and every client with caring, personalized attention as we build cases tailored to their unique needs and goals. Get help now! Call our offices at (215) 392-6616 to schedule your free, obligation-free consultation with our personal injury lawyers in Phtoday. Why Hire Ginsburg & Associates Trial Lawyers? When you are looking for a team to represent you in court, you need someone with comprehensive knowledge of the laws surrounding your case. 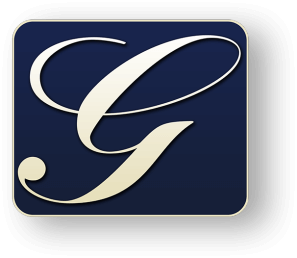 At Ginsburg & Associates Trial Lawyers, not only are we backed by decades of legal experience, we also take the time to sit down with you and understand what you are hoping to achieve in your case. Legal matters can be frightening, but we do everything we can to ensure that you know what to expect and what your options are. Our team works to educate you on your situation so that you can make fully informed decisions about your future. No matter how complex or simple your case may be, our personal injury attorneys in Philadelphia are prepared to work with you and help you secure the resources you need to return to a normal life. Our determination and relentlessness in court has resulted in multi-millions in settlements and verdicts. We offer a No Recovery, No Fee Contingency to fight your case. You can contact us for a free consultation. Get your case started before you leave your home, your information is completely confidential.